We lift the lid on claims that food-marketers use to make products appear healthier. Faced with selling a product that’s over 50 percent sugar, the food-marketing executive doesn’t hesitate. As every marketer worth their salt knows, you’ve got to accentuate the positive and eliminate the negative. Forget the sugar load: emphasise the product’s low-fat content instead. If your New Year’s resolution to shed extra weight and improve your diet is still sticking, food marketers have you in their sights. Products with claims designed to persuade us they’re a healthier choice have been taking up increasing shelf space. But behind the label claims, there may be little to distinguish these products from others on the shelf. Foods boasting they contain blueberries, goji berries or other claimed “super fruit” feature among the food-marketer’s arsenal. The trend has been sparked by hype about the nutritional content of the fruit. However, products making “super fruit” claims can have very little, if any, of the actual fruit in them. Take Kellogg’s Just Right with Goji Berries, Cranberries & Sultanas, promoted as a “delicious blend of flakes and fruit”. Goji berries feature prominently on the box but the ingredients list shows they make up just 1.5 percent of the cereal. Vogel’s Café-Style Light Berry with Blackcurrant contains just 1 percent blackcurrant juice concentrate. 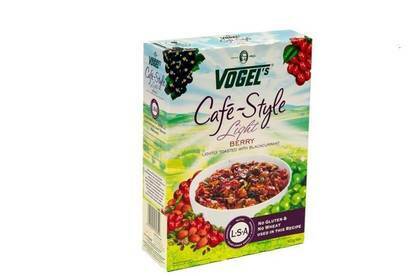 Vogel’s Café-Style Light Berry with Blackcurrant cereal doesn’t appear to contain any actual blackcurrants. According to the ingredients list, the berries are present as blackcurrant juice concentrate. The juice comprises a mere 1 percent of the cereal – which makes it 99 percent blackcurrant-free. Pams Strawberry & Blackcurrant Flavoured Superfruit Muesli Bars are also 99 percent blackcurrant-free. The bars contain 1 percent blackcurrant juice concentrate. Strawberry fruit “pieces”, which look like fruit leather, make up 4 percent of the bars’ claimed “super fruit” content. Strawberry puree is present at just 1 percent. Low-fat and fat-free claims appear on products that are high in sugar or salt. Watties 99% Fat Free Creamed Rice is made with low-fat milk. But the single serve tin contains over 6 teaspoons of sugar. Kellogg’s Special K Forest Berries cereal is also marketed as “99% fat free” yet it’s nearly a quarter sugar. Sugar is the third largest ingredient after rice and grains. The cereal’s sprinkling of “forest berries” – blackberries and strawberries – are also sugar-sweetened. Woolworths Homebrand Apple and Blueberry snack bars are touted as “97% fat free”. Less prominent is the fact they’re one-third sugar. Some of the sugar will be from the fruit, but the ingredients list features several other sweeteners including invert syrup, glucose syrup, golden syrup and regular sugar. Low-fat and fat-free claims can also turn up on products that don’t normally contain any added fat – such as confectionery. Allen’s Snakes may be “99% fat free” but you wouldn’t expect these types of sweets to contain huge amounts of added fats and oils anyway. Promoting products as “natural” or made without “artificial” ingredients is another tactic used to create the impression they’re a healthier choice. Robinsons Fruit Shoot Juice Drink boasts “25% real fruit juice” and “no artificial colours, flavours or sweeteners”. The ingredients list reveals the “real” fruit juice is reconstituted juice: 23 percent apple and 2 percent blackcurrant. And while there may be no “artificial” sweeteners in the drink, regular sugar has been added. Nice & Natural Fruit Strings claim they’re made from “65% fruit juice” and contain “no artificial colours or flavours”. Shoppers may be more interested to know the fruit strings are 51 percent sugar, although that’s unlikely to have quite the same ring at the till. Some of the sweetness is from the juice – mainly reconstituted apple juice – but glucose syrup and sugar also feature high on the ingredients list. There may be no preservatives, artificial colours, or artificial flavours in Woolworths Select “97% fat free” pretzel sticks. But there’s a massive amount of sodium: 1370mg per 100g, more than 3 times the amount you might expect in a packet of regular salted chips. Once the domain of specialist retailers, products with “gluten-free” and “dairy-free” claims have become common in supermarkets and other food stores. If you can’t eat wheat or dairy, these products may offer you more choice. But the marketing of them as a “healthy” option has also lured other consumers. Far from being “healthier”, gluten-free foods can be high in fat, sodium and sugar and low in fibre. Two gluten-free cereals for kids were more than one quarter sugar. Hubbards Thank Goodness Gluten Free Cocoa Puffs contained 32.7g sugar for each 100g of cereal. Lowan Whole Foods Gluten-Free Cocoa Bombs, which had the slogan “Let’s eat healthy” on the box, had 29.8g of sugar per 100g. The refined flours used in many gluten-free products can also lack the nutrients and minerals found in whole grains. And these products can have extra fat added to help bind the ingredients – a role gluten usually plays – and to improve taste and texture. Unless you need to avoid certain foods, buying “free-from” products won’t necessary confer any health benefit. These products are also likely to be more expensive. CookieTime Gluten Free cookies retail at Countdown for $5.44 per 100g. A regular CookieTime cookie costs less than half that: $2.34 per 100g. At the same store, Dairy-Free Lite Licks ice cream was retailing for more than double the price of regular ice cream. Advertising or marketing material on food packages must comply with the Fair Trading Act and the Food Act. This means companies can’t mislead consumers or create a false impression about the goods they sell. Food-labelling rules also require companies to come clean about the “characterising ingredients” in a product. The definition of characterising ingredient includes anything listed in the product name or emphasised on the label. If a company claims a product contains blueberries, the label has to tell you what percentage is blueberries. This also applies if the label has a picture of blueberries. But the rule hasn’t stopped food-marketers highlighting the blueberry or other content when there’s extremely little of it. To find out what’s actually in a product, you have to look at the ingredients list – usually on the back of the product in small print. Most packaged foods also have to display a nutrition information panel showing key nutrients: energy, protein, fat, saturated fat, carbohydrates, sugars and sodium. 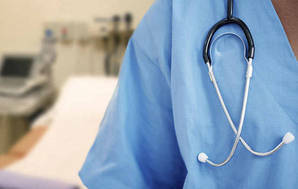 Where a claim is made about the presence of a specific nutrient, such as vitamin C, the amount also has to be stated. However, research has shown nutrition information panels aren’t easily understood. Consumer groups, including Consumer NZ, have long been calling for better labelling to give shoppers easy-to-understand information about what’s in packaged food. Last year, the government announced it was backing the “health star” system, a front-of-pack rating scheme designed to give consumers at-a-glance information about the nutritional value of packaged food. The ratings range from half a star to 5 stars: the more stars the better. However, the scheme is voluntary and companies can choose to use it – or not.